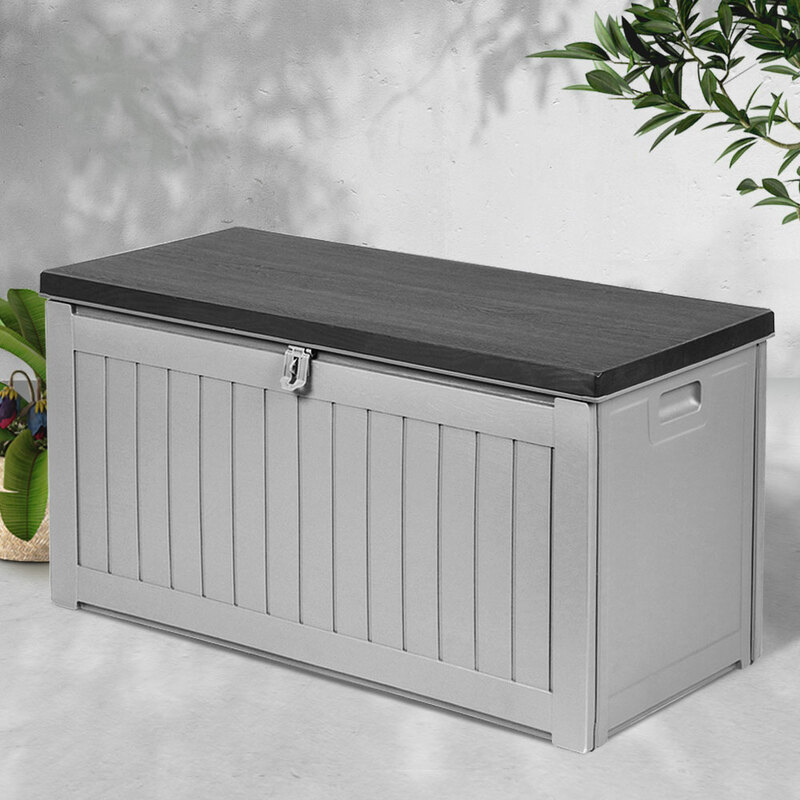 Stylish and modern looking, our Gardeon Outdoor Storage Box is just perfect for storage outdoors and indoors. 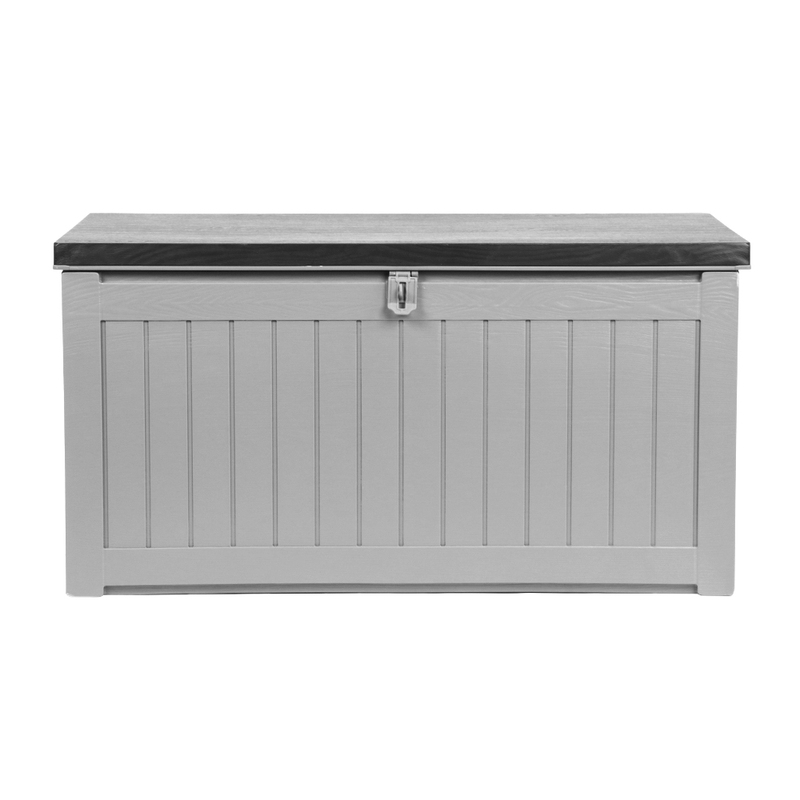 With a large storage capacity, the box is totally practical in every way. 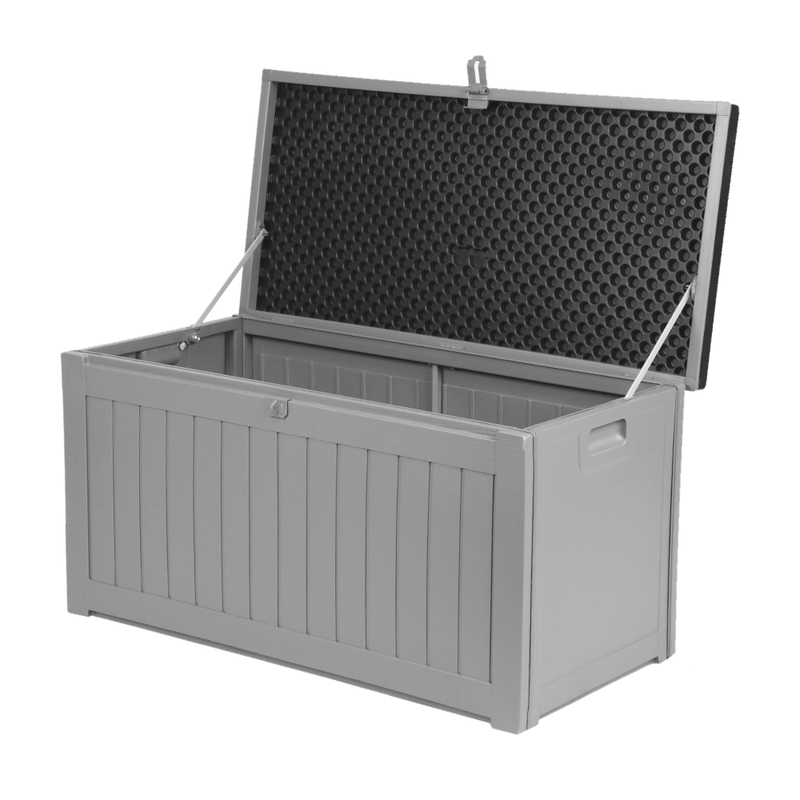 Use it to store anything, from gardening paraphernalia to collectibles to books, clothes or even beddings. 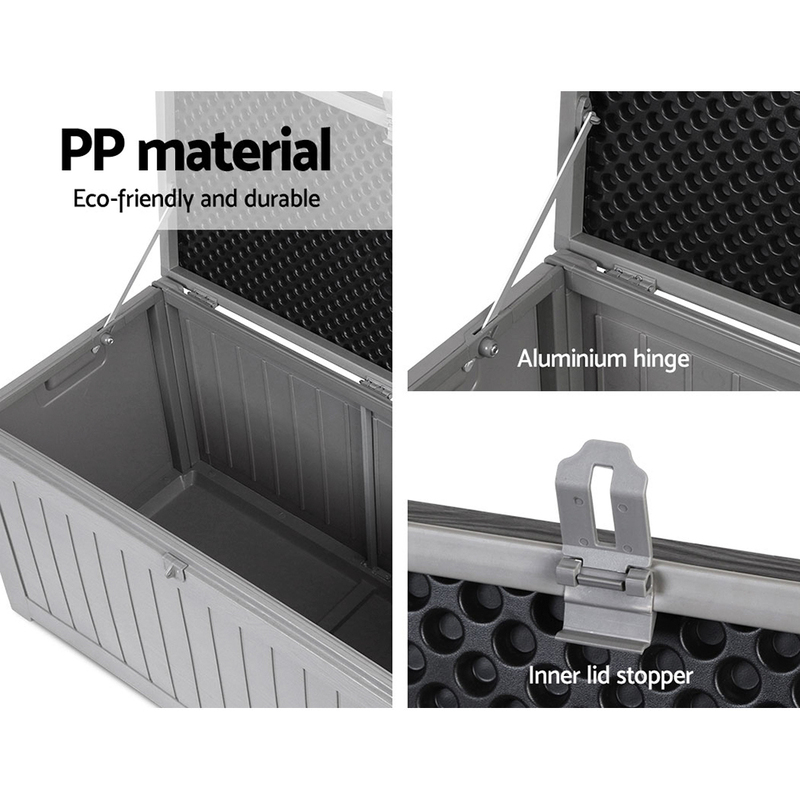 Made of durable and weatherproof PP material, the box does not rust and can stand up to robust use with ease. 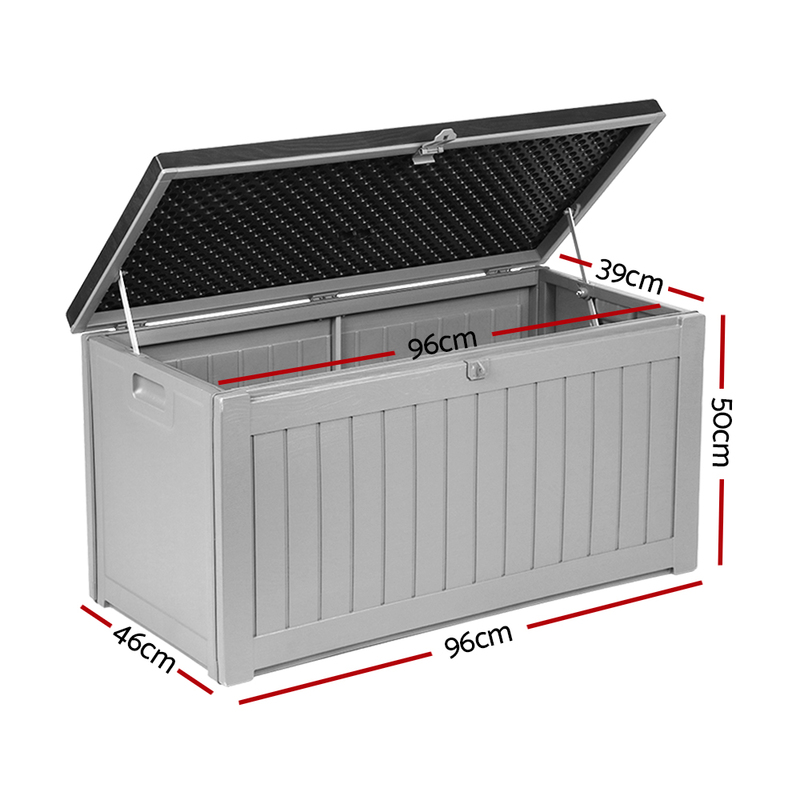 It comes with an aluminium hinge and inner lid stopper for hassle-free use. 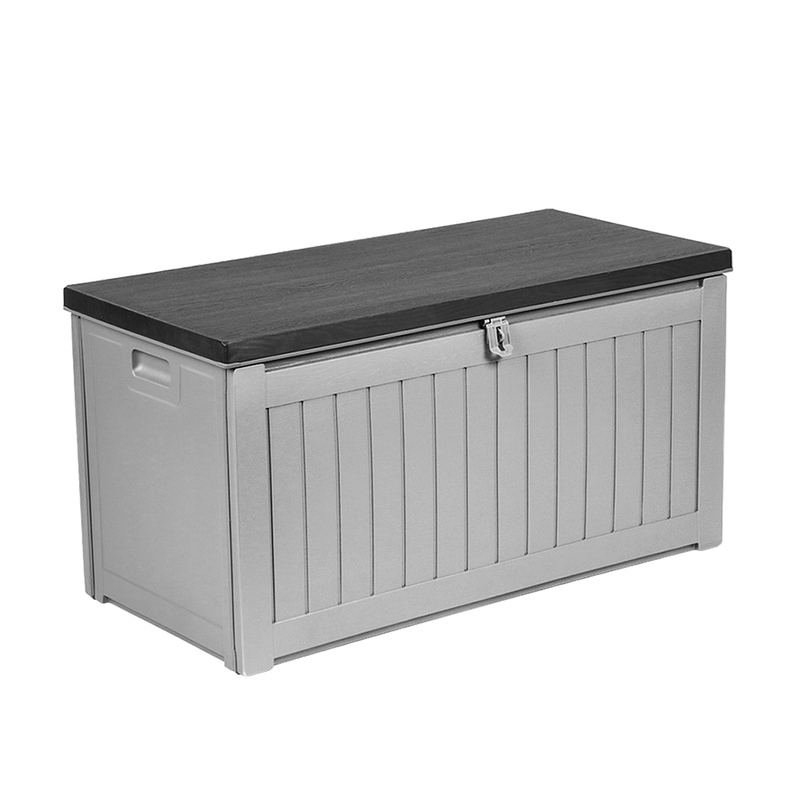 The integrated handles make it easy to carry it around while the lockable lid helps to keep things safe and secured. 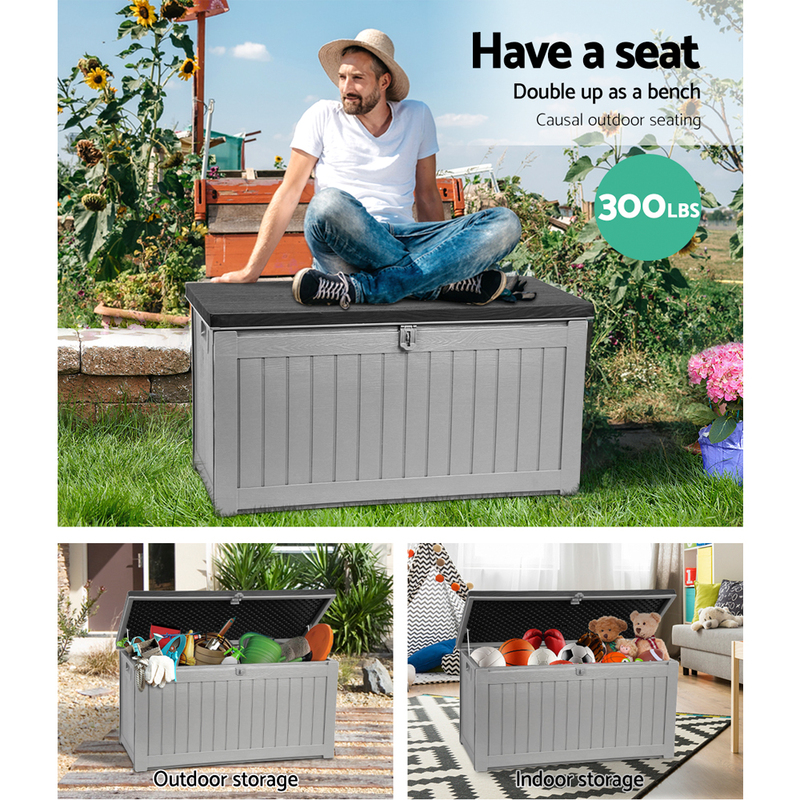 Better still, the storage box can also double up as a bench for casual seating anytime. It is also easy to assemble with no tools required. Easy to assemble and when completed looks even better than in the promotional email . Solid and easy to open and close.